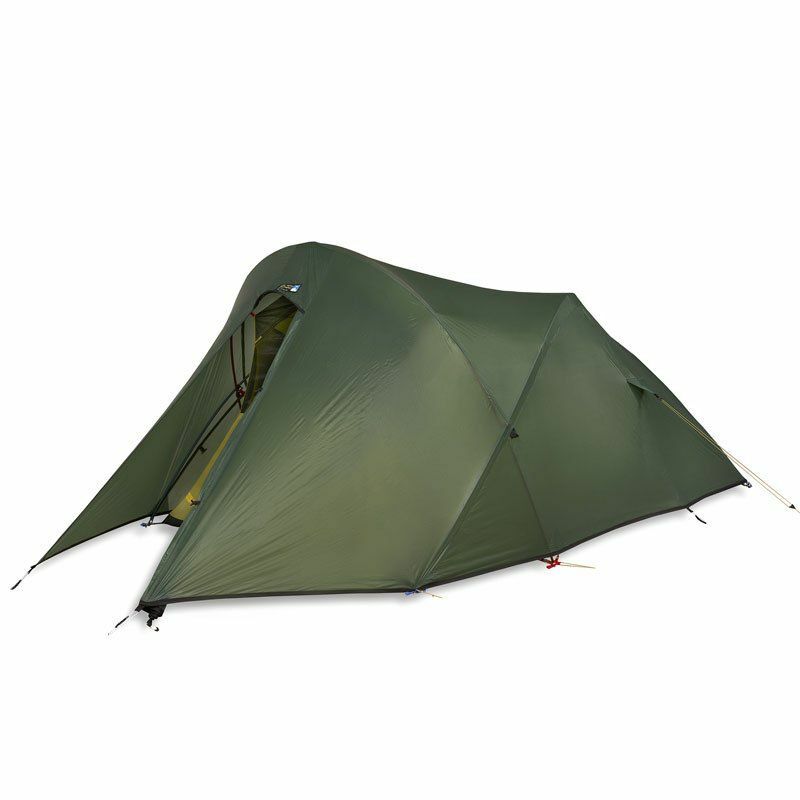 Technical * 3-4 Season- Australia * Two person capacity * Pole clips on the Inner * Mesh panel on the Door to improve breathability * Pitches inner first for maximum stability and ventilation options * Reflective guylines with new cordlocks * High Peak Vestibule * Packed Weight: 1.53kg * Minimum Weight: 1.45kg * Packed Size: 52x13cm * Poles: 8.55mm DAC * Pegs: 12 x 2g Titanium pegs * Peak Height: 103 cm * Floor Area: 2.3 sq meters * Vestibule Area: 0.7 sq meters * Packed Size: 14 cm x 52 cm * Poles: DAC Featherlite 7001 * Pegs: Titanium * Fly: Watershed SL2 4000mm (silicon / pu coated) * Floor: Waterbloc SL 7000mm * Tent Body: Ripstop Nylon 6.6 Product Description Newly updated, the classic geodesic design remains with the weight stripped away with the use of pole clips on the inner and lighter materials. The superlight voyager is not only 300g lighter than older models but it is also longer and taller. The new Superlite Voyager is ideal for anybody travelling in all but the harshest conditions.